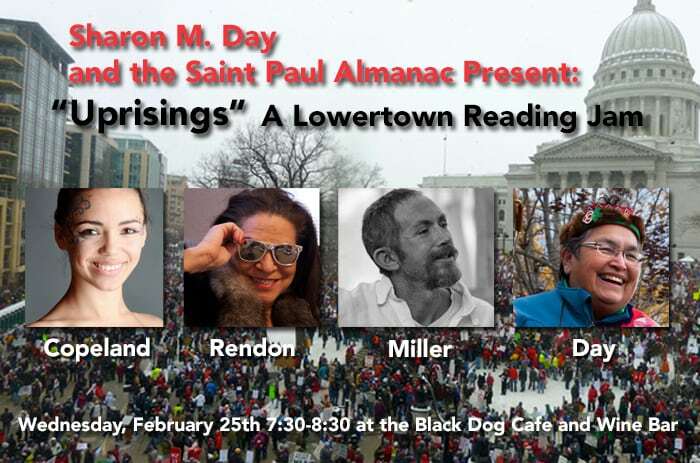 Lowertown Reading Jam will be presented on Wednesday, February 25, from 7:30 to 8:30 p.m. at the Black Dog Coffee and Wine Bar, 308 Prince Street in Saint Paul. All ages, no cover, donations welcome. Food and beverages for sale. With fire in their hearts. Let’s hear what the poets and musicians have to say about Uprisings! “Uprisings” is a collection of young and older folks, writers and musicians to explore the recent happenings… uprisings if you will. Join youth writers/actors from Ikidowin Youth Theater Ensemble plus Renée Copeland, David Miller and Marcie Rendon for an evening of reading and some music! Renée Copeland is a dancer, choreographer, singer/songwriter and poet from the woods of Winona, MN. 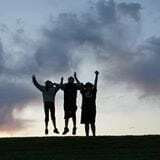 She has been living in Minneapolis for eight years and loves this community of family, friends and mentors. She is a proud member of Ananya Dance Theatre, cofounder of the dance company Hiponymous and of the music project Love Nocturnal. Marcie Rendon, an enrolled member of the White Earth Nation, is a playwright, poet and writer. In addition to her creative writing, she has published two nonfiction children’s books and is a community arts activist, which means she tries her hardest to support other native artists/writers/creators. Titus Brown is a freshman at Washburn High School and two-year member of Ikidowin. He is an actor and writer. He is Lakota and Black. Elizabeth Santana is a junior at South High. She is an actor and writer. She is an original member of the Ikidowin program. She is Lakota and Latina. David Miller is a poet, activist and community organizer of mixed Celtic descent. He has spent the last three decades focusing on supporting the struggle for First Nations sovereignty and all attempts to get people to look at how white supremacy and climate destabilization are connected. Sharon M. Day is a writer and activist from Saint Paul. She writes prose and songs to inspire. She is the leader of the Nibi Water Walks and has completed six walks, including the length of the Mississippi and Ohio Rivers.